A steering lock kit for many models that use this particular shaped lock, NOT the barrel type but the type that goes into the side of the frame on the headstock, and also underneath the bottom yoke. NOTE the shape of the lock. 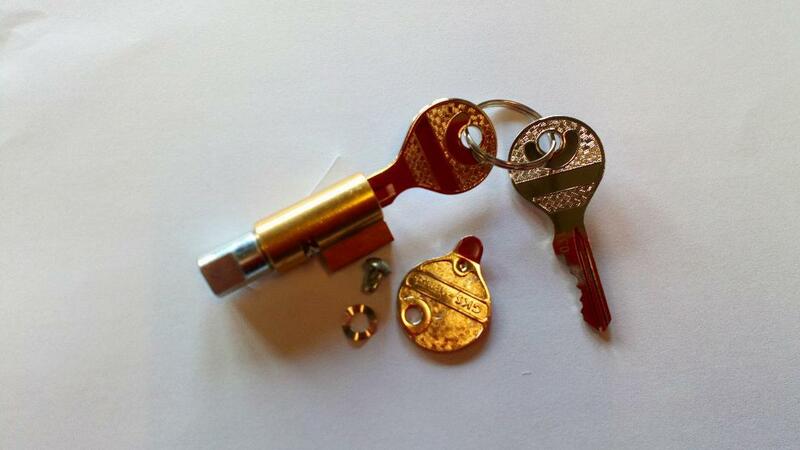 (a classic key hole shape) Comes with 2 keys. the chrome cover and the wave washer and rivett.